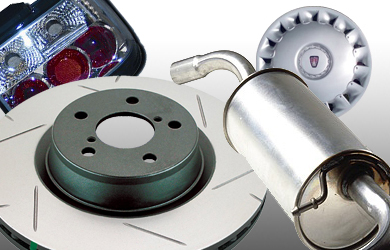 For an extensive range of quality secondhand parts, available at very competitive prices. We offer a mail order service or items can be collected in person. Since the demise of Rover, many people believe that it is difficult to obtain parts for their MG or Rover. As an Xpart Autoservice centre, we are able to obtain genuine MG/Rover Black Box Service Parts and Original Equipment parts directly from our Xpart Wholesaler to keep your car in pristine condition. Xpart, who were the original supplier of MG/Rover Black Box range of products to the Rover factory, and aftermarket to the MG/Rover Dealers, have continued to source and hold millions of pounds of MG/Rover parts to keep the marque on the move. With our on site MG/Rover electronic parts catalogue, we can now identify and order parts for you to pick up locally. We also hold an extensive range of quality secondhand parts which are taken from End of Life Rovers before they are environmentally scrapped, and which we buy to keep a continual supply of usuable parts. Many of these items can be found on our ebay shop, but can be bought and picked up locally. We can offer a mailing service, please contact us for shipping rates. includes oil filter, air filter, spark plugs, sump plug washer. includes oil filter, air filter, spark plugs, fuel filter, sump plug washer. Pollen filters available at extra cost. includes oil filter, air filter, fuel filter, sump plug washer. includes oil filter, air filter, fuel filter, pollen filter, sump plug washer.